There is nothing astonishing about mobile dating nowadays – practically everyone has ever used them. 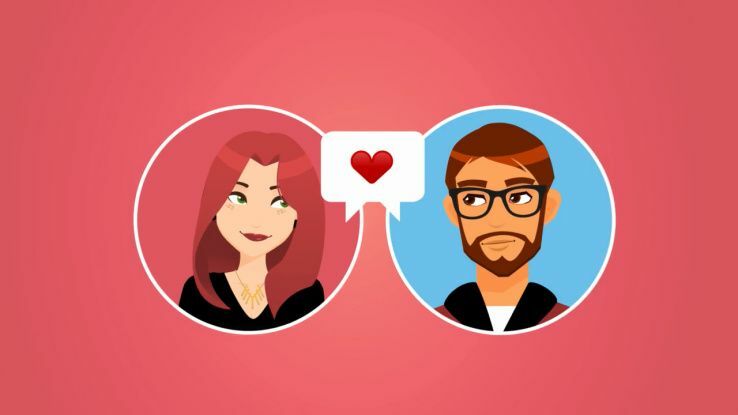 With the growing number of users, the online dating startups have to become more inventive in order to satisfy those who lose interest in common products. Fresh ideas are wanted! And here is our guide to some apps you might have missed. Some people don’t see anything beneficial in speed dating and consider it to be just a waste of time. Well, everyone is empowered to think what he thinks. Yet this kind of meetups can bring you a surprising feedback – especially if you choose the right events to attend. The app I`m talking about selects the finest speed dating gatherings in your area or outside it using the info you provide about yourself. So the search gets fully customized which increases your productiveness. Even better than a video live chat, wouldn’t you agree? You do not have to talk to random people at random events anymore! As so many users are done with live chatting that leads nowhere, there is singles dating app to provide you with real chances to go out. What`s even more significant about Tonight, it arranges a meetup right after two users like each other. Remember that you should sign in the very day you have time to go out, so the app will be able to schedule a date several hours later. Consider doing so no later than 6 p.m. or all the potential matches get busy! But note: if you miss the date arranged, you have to pay penalty. Seems like Tonight isn`t that spontaneous as it may seem from the first sight yet it is definitely more flexible than other akin services. Now, only the iOS version for New York is available but it is to be extended soon. How about blind dates? By all means, this is just another form of interaction so why not try the digital version of it? This app for online dating is about to revolutionize the market because it offers the completely new approach to the romantic game. While other popular apps encourage you to dwell on other users’ photos, JigTalk involves the complete-the-puzzle principle helping singles to really get to know one another. Each profile picture is hidden under so-called “jigsaw pieces” that are to be removed one by one as your conversation goes on. As a result, your acquaintance starts not with liking a hot girl or boy but with in-depth talking to a person you can barely see. If you intend to find someone for long-term relationships, you absolutely need to get dating app that increases the probability to find your right one. What is so special about this one? Like many other tools, it collects the core information about each user but what’s more impressive, it asks you to describe your dream match too. So yeah, if you do not have the vision of who you need, you’d better choose some other app. Yet if your dating experience is broad enough and you are completely aware of what you seek, nothing can be more satisfying than Fliqpic. Find your most compatible one instead of moving from one wrong person to another! Is your schedule too unpredictable to arrange dates in advance? Meet the service that allows you to do it spontaneously. Times of long chats on some women dating app seem to be gone – you will never know for sure until you meet someone in person. The algorithm is extremely simple: once you have a few free hours, you can suggest a date idea choosing the time and place and the app will show who is interested to join you this evening. In fact, you can set group dates too which means you can communicate with several potential matches simultaneously. Isn’t it fabulous?! So there were our top dating apps worth your attention in 2017. Which one do you like most?